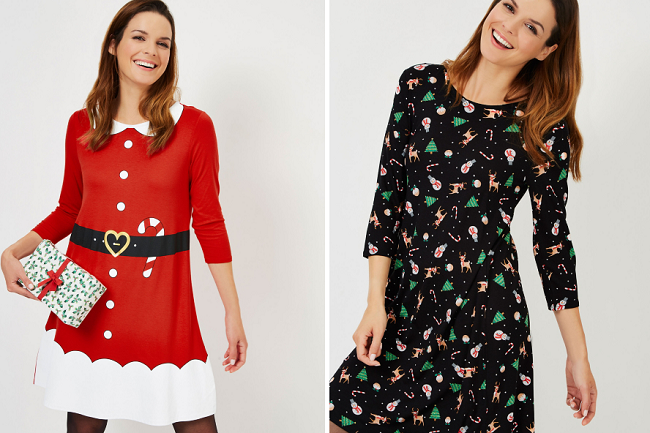 Christmas dresses, tops, outfits and more for the whole family. 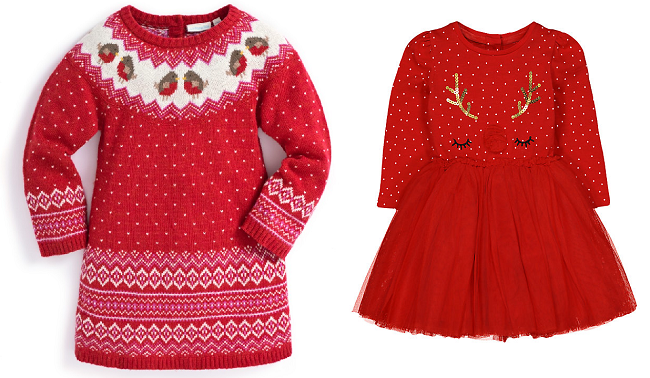 Make sure you check our Christmas Jumpers and Christmas Pyjamas guides as well. As a mum of boys I've been pleasantly surprised by how much more variety there is this year. 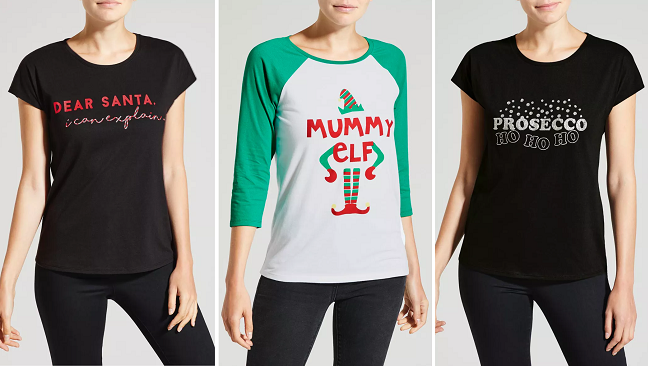 Loads of t-shirts, polo shirts, and even onesies to mix in with their Christmas jumpers and pjs, and prices start at just £2.50. 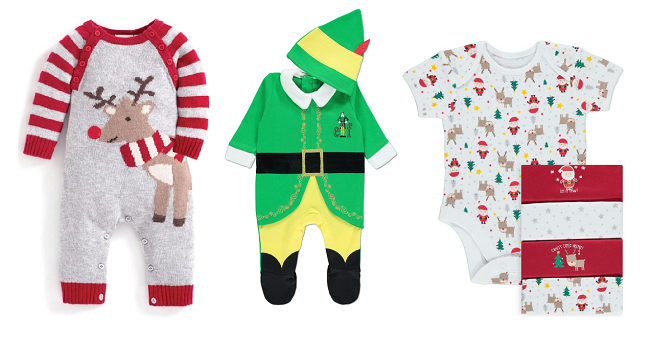 There's more choice of Christmas clothing for babies than for older children or adults, and I think that's because of the cuteness factor of dressing them up for festive photos! 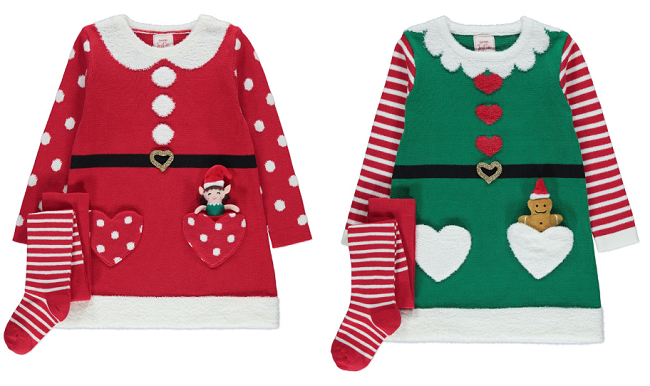 I've split the baby clothing into Christmas Bodysuits & All-in-Ones, Dresses, Outfits and Separates to make it easy to find what you want. I want it for me!! Love it! 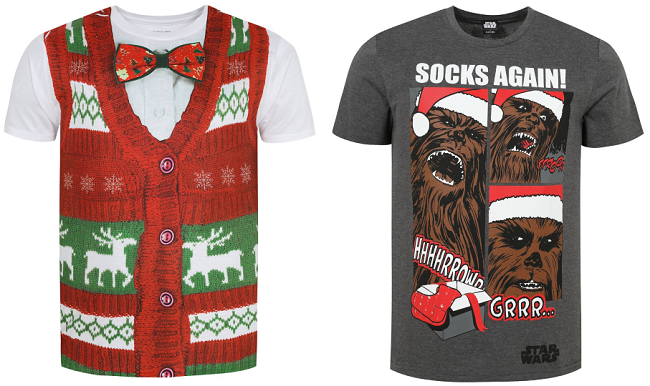 I definitely have to get it! !